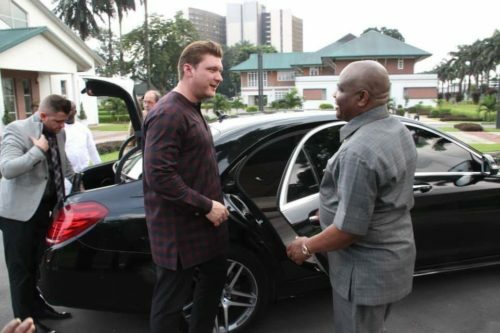 President of the Christ for All Nations, CFAN, Evangelist Daniel Kolenda on Sunday visited the Rivers State Government House Chapel of Everlasting Grace built by Governor Nyesom Ezenwo Wike. The International Evangelist who was led by the Rivers State Governor, Nyesom Ezenwo Wike prayed for the sustenance of Rivers State and God’s blessing on the state. 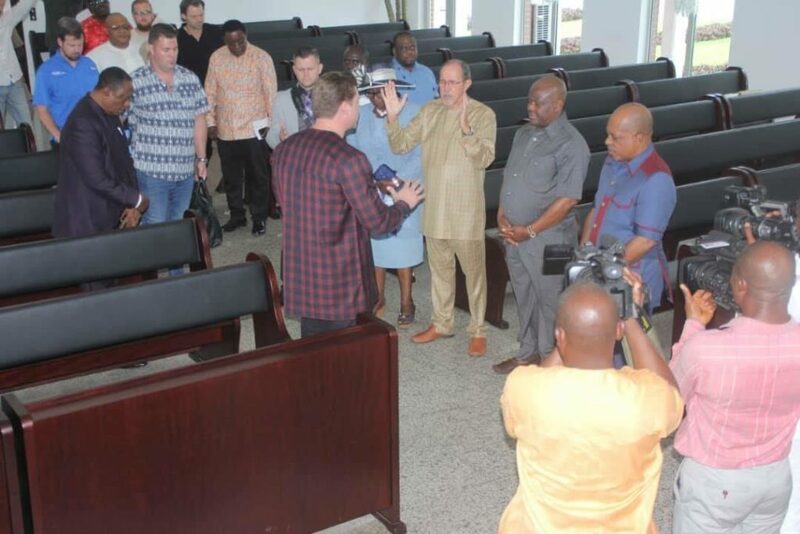 Accompanied by the Vice President of CFAN, Rev Peter Vandenberg and the Director, Africa for CFAN, Rev John Dakur, Evangelist Daniel Kolenda prayed God to strengthen the administration of Governor Wike for the good of the people. Governor Wike received the cleric at his residence from where he led him on a tour of the reconstructed Brick House and the old Catholic Chapel located in the precincts of the Government House Port Harcourt. The Deputy Governor, Dr Ipalibo Harry Banigo and the National Chairman of PDP, Prince Uche Secondus joined the Rivers State Governor during the visit of the Government House Chapel of Everlasting Grace. At the resident of the Governor, Evangelist Daniel Kolenda also prayed for Governor Wike.